It can be hard for waste haulers to find a good quote on insurance, especially when they’re just getting into the business. That’s why we’ve set up this form. We get you in touch with not one but three waste hauler insurance agents who each get you a personalized quote. They compete and you save. Very few agencies write insurance for new waste hauler ventures. This is a problem. Without any competition, the big name insurance companies have been able to increase their premiums. If you’ve noticed your insurance rate increase over the years, that’s probably why. We’ve introduced competition back into waste hauler insurance. We cull insurance agencies from across the nation and have them compete for your quote. Competition breeds lower prices and waste haulers benefit. 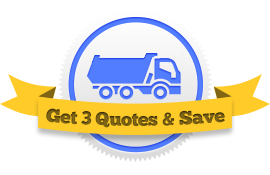 To get three quotes from three waste hauling insurance agents, simply fill out this one form. Better intel. In order to get a realistic picture of what coverages you need, it’s wise to get a second and third opinion from alternative agents. We’ve found that waste haulers get the best coverage when they have all the right information. Your time isn’t wasted. Waste Hauler insurance is hard to come by. Very few agents do commercial auto insurance and those who do might not cover garbage trucks. That’s how we’re different. All our agents are certified waste hauler experts. They know what you need and how to get it—quickly. Savings. Who doesn’t want to save a little money? When you comparison shop, you better control what price you pay for insurance. And when you’re running a business, this can be very important. The process couldn’t be simpler. You fill out one form and we take care of the rest. Your agents will contact you within a few hours. Get started now!